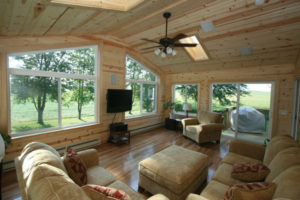 Add relaxing living space with a custom Porch, Sunroom, Screen Room, or Deck by Popham. A carefully planned and well-built outdoor structure is an extension of your home and your lifestyle. 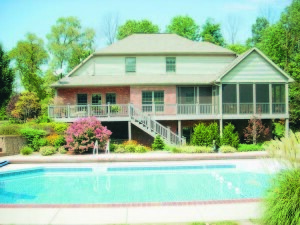 Porches, Sun and Screen Rooms, and Decks are often the central point for family gatherings, cookouts, and entertaining. The experienced Popham Team can build an outdoor structure that enhances the style of your home and meets your functional needs. Popham offers concise information sheets about various features to consider when making decisions about incorporating the outdoors into your living space. This practical information can be viewed on this site under Remodeling Resources. The experienced Popham Team looks forward to discussing natural light sources for your home or business. Schedule a FREE, NO OBLIGATION visit to review your present and future projects. You’ll feel good having an organized plan to manage your construction needs to enhance living space and the value of your investment. 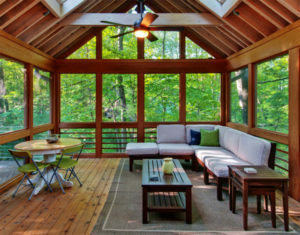 A sunroom addition offers the healthful benefit of natural light. Enjoy nature, but leave insects outside! Fit the style to the rest of your home—from elegant to rustic. 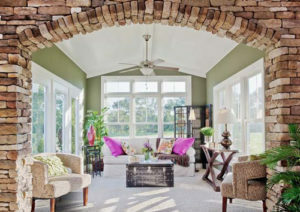 Stone walls and other natural elements add to the ambiance of a sunroom. Panels can be changed from glass to screens during warm months. 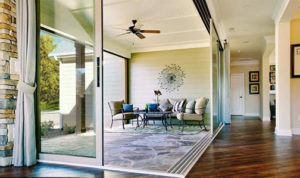 Sliding doors work well to blend the inside of a home with an outdoor space. A porch addition should fit the style of the home. This screen room provides an outdoor alternative when swimmers have had enough sun for the day.